Instant New York Times Bestseller Best of 2017 - included on best-of lists by the New York Times, NPR, Barnes &amp; Noble, Publisher's Weekly, LitHub, BookPage, Booklist, TheRealBookSpy.com, the Financial Times (UK) and the Daily Mail (UK) “The Force is mesmerizing, a triumph. Think The Godfather, only with cops. It’s that good.” — Stephen King The acclaimed, award-winning, bestselling author of The Cartel—voted one of the Best Books of the Year by more than sixty publications, including the New York Times—makes his William Morrow debut with a cinematic epic as explosive, powerful, and unforgettable as Mystic River and The Wire. Our ends know our beginnings, but the reverse isn’t true . . . All Denny Malone wants is to be a good cop. He is “the King of Manhattan North,” a, highly decorated NYPD detective sergeant and the real leader of “Da Force.” Malone and his crew are the smartest, the toughest, the quickest, the bravest, and the baddest, an elite special unit given unrestricted authority to wage war on gangs, drugs and guns. Every day and every night for the eighteen years he’s spent on the Job, Malone has served on the front lines, witnessing the hurt, the dead, the victims, the perps. He’s done whatever it takes to serve and protect in a city built by ambition and corruption, where no one is clean—including Malone himself. What only a few know is that Denny Malone is dirty: he and his partners have stolen millions of dollars in drugs and cash in the wake of the biggest heroin bust in the city’s history. Now Malone is caught in a trap and being squeezed by the Feds, and he must walk the thin line between betraying his brothers and partners, the Job, his family, and the woman he loves, trying to survive, body and soul, while the city teeters on the brink of a racial conflagration that could destroy them all. 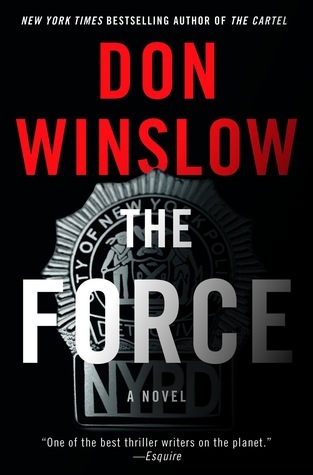 Based on years of research inside the NYPD, this is the great cop novel of our time and a book only Don Winslow could write: a haunting and heartbreaking story of greed and violence, inequality and race, crime and injustice, retribution and redemption that reveals the seemingly insurmountable tensions between the police and the diverse citizens they serve. A searing portrait of a city and a courageous, heroic, and deeply flawed man who stands at the edge of its abyss, The Force is a masterpiece of urban living full of shocking and surprising twists, leavened by flashes of dark humor, a morally complex and utterly riveting dissection of modern American society and the controversial issues confronting and dividing us today.